'Do Nothing' Dave Dombrowski got off his couch this morning and made a trade—albeit a marginal one. 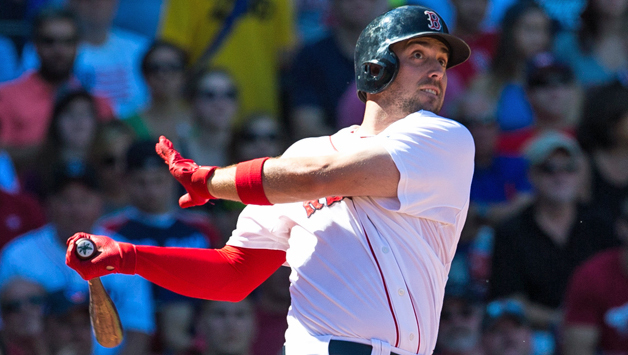 The Red Sox shipped 1B/3B Travis Shaw to the Brewers for relief pitcher Tyler Thornburg. Some reports indicate that Shaw was only part of a "package" that also includes highly-touted IF prospect Mauricio Dubon and reliever Josh Pennington. Dubon is ranked as the #9 prospect in the entire Red Sox organization. The 28-year-old Thornburg was 8-5 last season with a 2.15 ERA—and 13 saves. He gave up just 38 hits in 67 innings pitched—and had a WHIP of 0.940. He also struck out 90 batters. The 26-year old Shaw spent two seasons in Carmine Hose—and was awarded the third base job out of Spring Training last year. He hit .251 with 29 HRs in his Red Sox career.